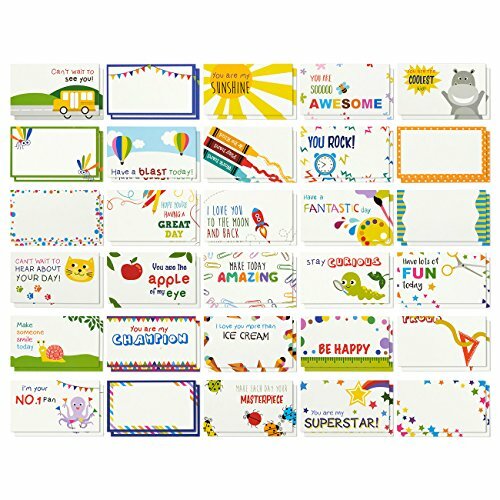 Let your kids know you love them and are thinking of them with our lovely lunchbox note cards for kids. 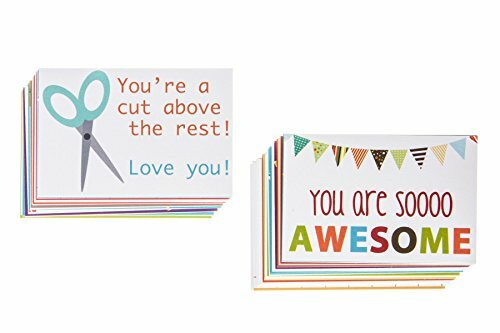 Include one of these fun, cute and motivational cards next time you are packing launch and you'll love the reaction your child will come home with from this surprise. 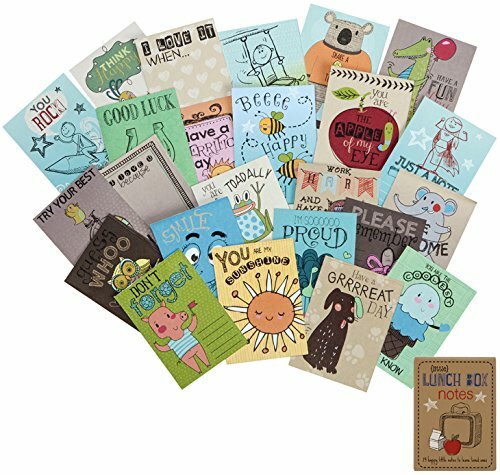 Each one of the 60 cards includes a unique and adorable character with a funny or inspirational title. Each card is gender neutral and double-sided. 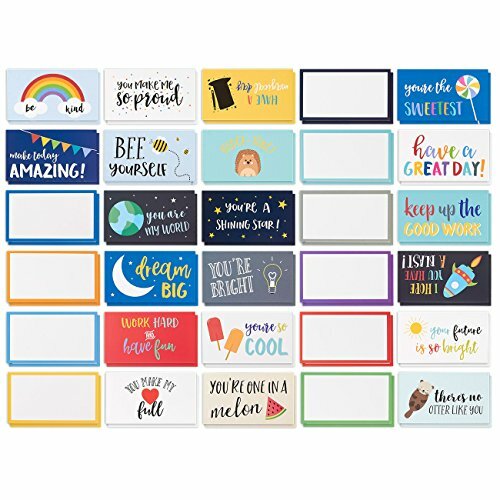 They measure 3.5" X 3.5" so you'll have plenty of space to write your own personal message in the blank space on the back of each card. 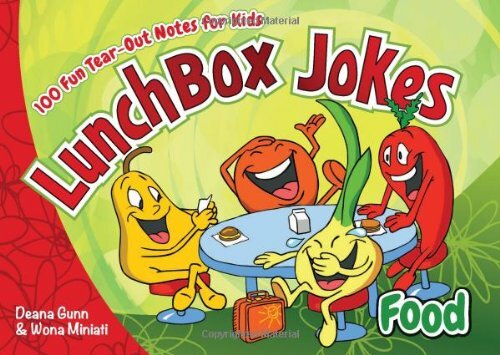 Add a joke and make lunch fun! Lunchbox notes are a great way to say I love you when your child is at school. 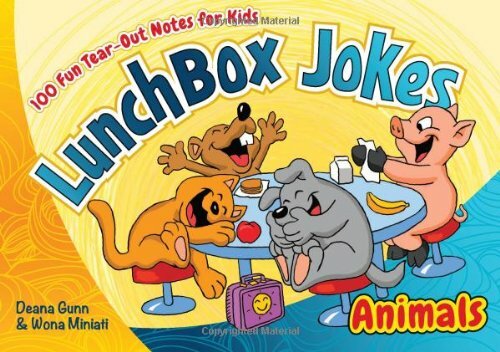 Each tear-out page contains a joke that will add a smile to the lunch menu. 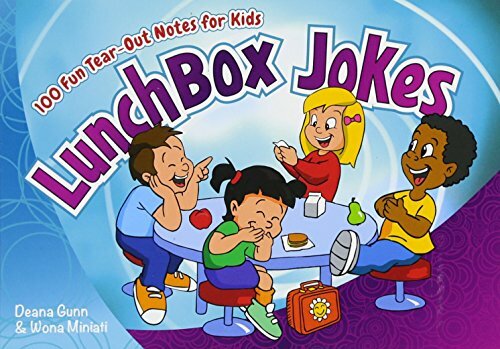 Whether your kid relishes the fun alone or takes center stage and reads to the rest of the table, Lunchbox Jokes makes it easy, fun, and funny. 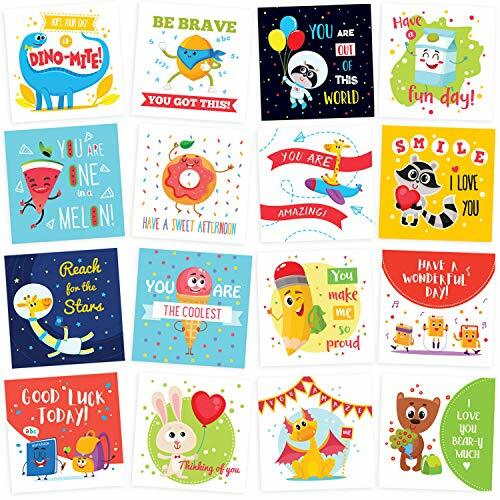 2 sets of 27 combined together in one 54 card pack of different lunch box notes (2 X 3 inches) to brighten or encourage your child before the holidays on their lunch break. We include some designer blanks notes so you can customize the note to a specific day or event. Scroll back up and hit add to cart button? Your child will love the surprise of finding one of our fun, inspirational or encouraging lunch box notes! 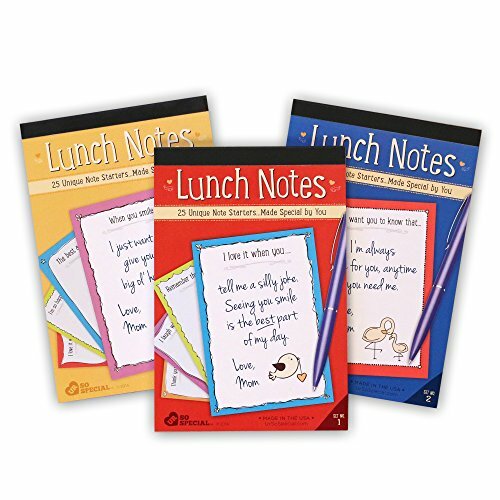 Our sweetly illustrated 2.5" X 3.5" two-sided lunch box notes tuck easily into your child's lunch box. This boxed set of 24 cards are printed on both sides. So if you're looking for ideas to brighten a kindergarten or elementary school day, these fun little messages are just the thing. Our notes are brought to you by C.R. Gibson, a maker synonymous with quality for more than 140 years. The next time you are packing lunch for your kids throw in one of these fun and inspirational lunch box notes! Each note has some blank space for you to write messages or doodle on. Cheer your kid on for that special play, sport or any extra curricular activity they are participating in. Wish them the best of luck on upcoming tests. Make each note your own. 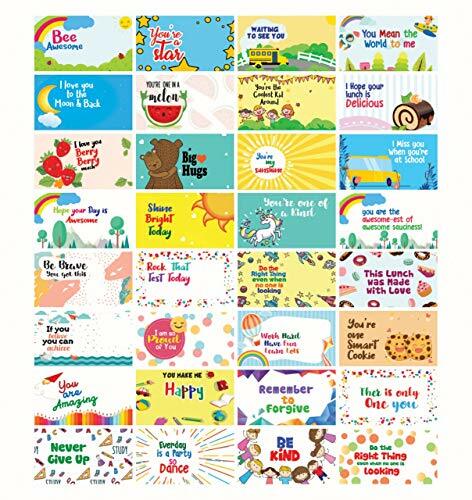 Lunch Box Notes are beautifully designed set of 32 Pack Motivational and Positive Cards to send along with your Little One's Lunchbox. The Card is 3.7Inches in Width and 2 Inches in Height. Please refer to the Images for the list of quotes in each of the cards.We are the manufacturers. We do not outsource our product manufacturing to Third Party Vendors. We make sure that we manufacture only High-Quality Products! If you are not satisfied with our products please reach out to us and we will do the best we can in terms of refunding your amount. Next time you are packing lunch for your kids throw in one of these fun and inspirational lunch box notes! Each note has space for you to write messages or doodle on. Cheer your kid on that special day, sport or any extracurricular activity they are participating in. Wish them the best of luck on upcoming tests. Make each note your own!